Behind everything we do on the frontline is an efficient logistics system. It is based on the principle that MSF staff should always have exactly the right materials for the job at hand. This is the same in emergencies, when material might need to be on a plane within 24 hours, as for a long-running programme where a steady supply of equipment and drugs is vital. "A doctor isn't much good to anyone in the middle of the desert if she doesn't have her medicines delivered at the right time and place, at the right temperature. 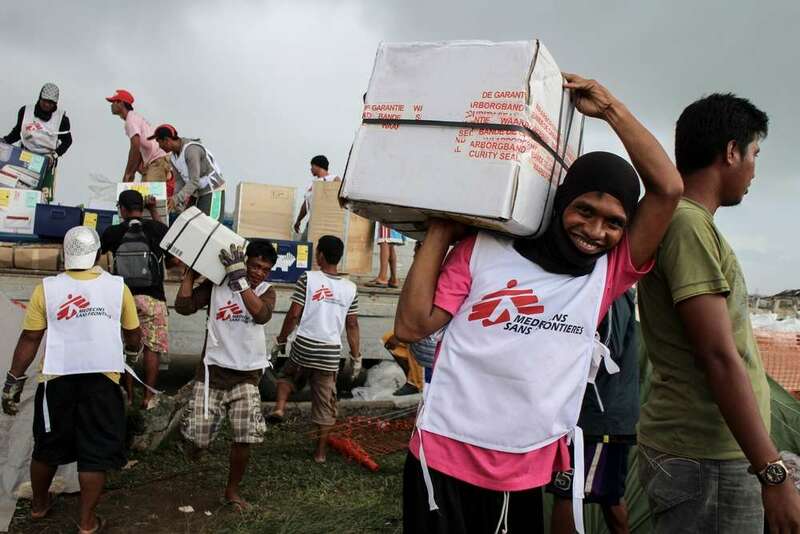 Without logistical support, MSF wouldn't be able to work with the speed and efficiency that we do." While some organisations rely on third parties to supply and distribute aid, MSF maintains an independent and integrated supply chain which enables us to deliver medical assistance and better respond to the needs of people — whoever and wherever they may be. MSF has developed and produced pre-packaged disaster kits ready for transport within hours, including a complete surgical theatre the size of a small conference table and an obstetrics kit the size of a two-drawer file. These kits are now used as models by emergency relief organisations worldwide. There is an ongoing process of revising the kits every time a new drug or medical tool becomes available. To make sure we are reacting to emergency situations as quickly as possible, we have four logistical centres based in Europe and East Africa plus stores of emergency materials in Central America and East Asia. The logistical centres purchase, test, and store equipment including vehicles, communications material, power supplies, water-processing facilities and nutritional supplements. Planes can be loaded and flown into crisis areas within 24 hours. In the logistical centres, the pre-packaged disaster kits are already custom-cleared and ready for flight. In China and Dubai, we also store thousands of tents, shelter kits and other nonperishable items, ready for immediate use in the event of a disaster. To reduce costs, if it is not a dire emergency, MSF ships the majority of material and drugs by sea. Because of this, it is vital to monitor stock levels and anticipate future needs so that orders can be placed up to three months in advance of expected needs. Then, there is the job of getting all the drugs and equipment cleared by local customs. In the capital cities of countries where we work, we have logistics staff whose job is to negotiate with the appropriate officials, ensuring that the import taxes are correct and that the material is delivered to where it is needed as speedily as possible.